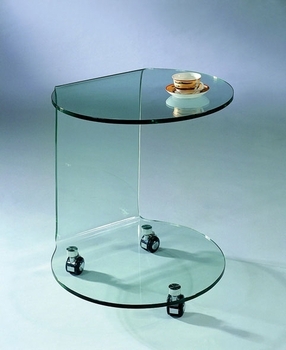 Glass end table with wheels. Perfectly fits under most sectionals for use as end table, laptop table, food table, or just to hold refreshments. Crafted from heated temper glass for durability, great addition to any living room. *Comes with 4 wheels, not 3 as shown.